More and more of us are now working from home. Freelancers as well as home-working employees need a comfortable, practical place to work to aid creativity and productivity, but this isn’t always easy. Finding a spot at home where you can be free from distractions is a constant headache, and I know this from experience. I’m currently sat in the kitchen at the breakfast bar, way too close to the biscuit tin and coffee machine! It takes sterling effort some days not to get pulled away into chores, or to sit outside the back door in the sunshine. If only I had my own office. What are the choices for home workers such as me? 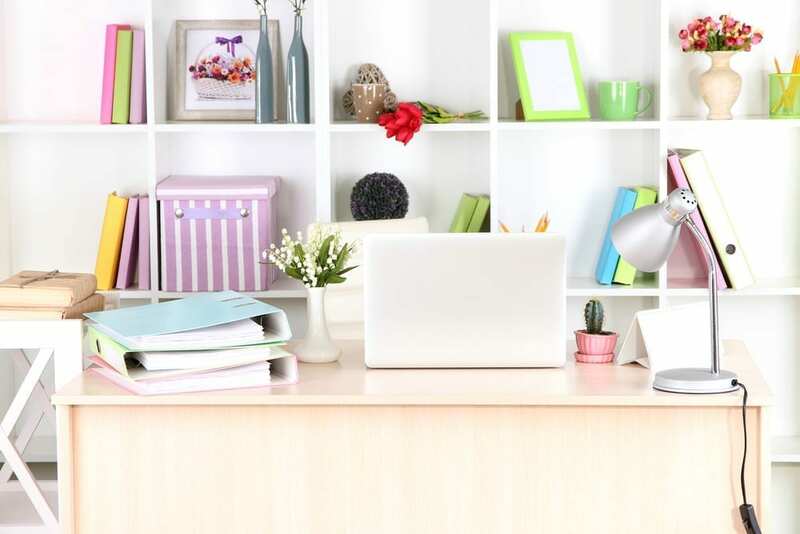 A long time ago I wrote about how to create the perfect home office, which does showcase some ideas for where to house your desk and workspace, but I’m still left wondering if there are other options. Firstly, I know I’d like a separate room, but this isn’t always possible. I want a space that I can walk into first thing in the morning, that feels like I’m going off to work. I don’t want to be surrounded by washing, the tv, kids’ toys and in our case, the noise from the pet gerbils. I want peace and tranquility and a place that feels like work. I’d like a noticeboard, a pot of pens and lots of lovely stationery. An adjustable chair would be pretty good too, and give my back a break. I want to be able to close the door on my work life at the end of a busy day. I want to be able to walk away from my laptop, creating my ‘to do’ list for the following day and then shutting my notebook. I want to be able to leave work behind for the day and not be distracted by email and the blog. I know my children would be grateful for that, and I know I’d work better and be less tired. I imagine I’d be more efficient at managing my workload and have a better sense of the working day versus home life. Of course, that’s what I imagine, and hope for. And this is where I dream I might do it. I might not go for all the glass; too many prying eyes and I might want to hide away the technology. But a cabin like this at the bottom of the garden would be ideal for all of my freelancing needs. I also imagine I’d be able to set up some great photos here for the blog too. The light would be great, and there would be no need to tidy everything away at the end of the day if I didn’t want to. I could create great storage for featured products, and it would feel like a real office. This particular log cabin is from Quick Garden and I’m really surprised that the prices are pretty affordable. I know you’ve still got to factor in the build and electricity and heat but it’s much less than I thought. It’s a very tempting idea. And a taxable benefit too, surely. So what do you think? 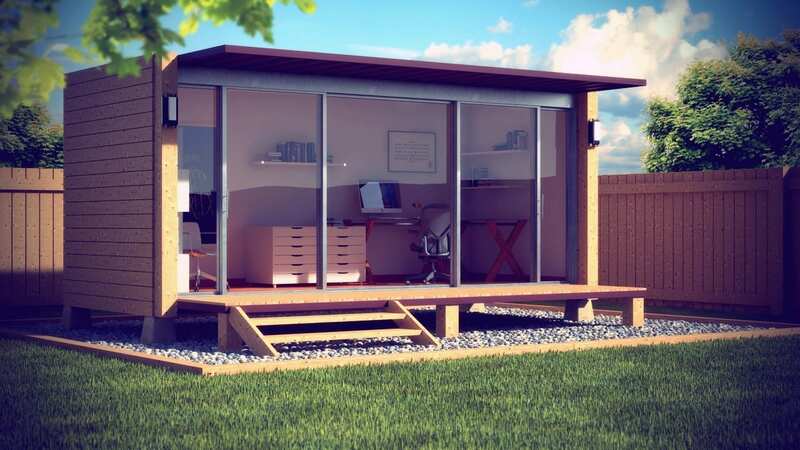 Do you need a home office at the bottom of the garden? Wow, that looks incredible! I share an office with my partner at the moment – it’s clearly divided with our two styles but we plan to go into business together over the next year so it’s handy to have a shared space. Plus we’d never see each other otherwise! I would love a space like this at the bottom of my garden as my office area. Sadly my garden isn’t quite big enough to house anything like this (aside from the costs, obviously!). I do have a spare room though that I am desperate to make into a creative space for my freelancing. A little writing haven. Just trying hunt down the perfect desk at a reasonable price and then I’d love to add all the things you have listed too. Can’t wait to have a space I can call my own and where you can shut all the work away at the end of the day! 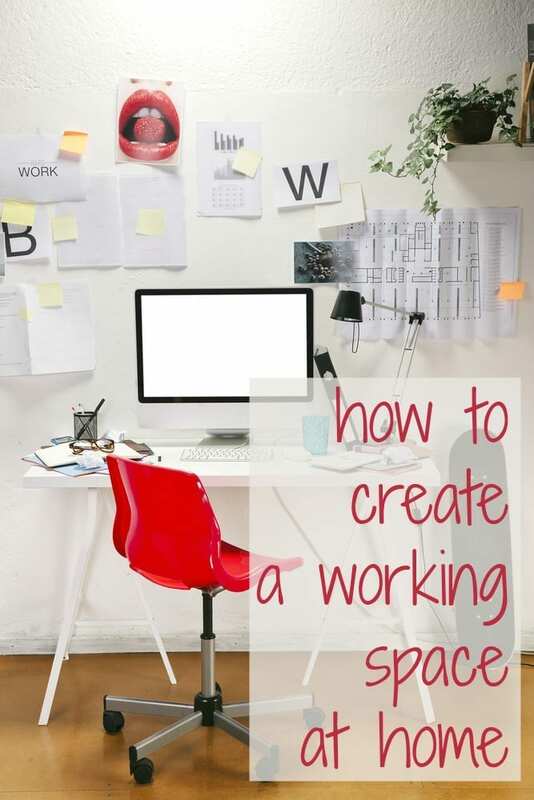 Informative article on how to create a working space at home. Thanks for the great share.